Tumor cells originated, and whether they are cancerous (malignant) or not (benign) and Primary (originate from brain cells) or Metastatic (begin in other part of body and spread to brain). 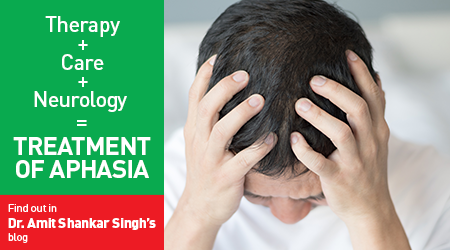 Symptoms of brain tumor can be general or specific. A general symptom is caused by the pressure of the tumor on the brain or spinal cord. Specific symptoms are caused when a specific part of the brain is not working well because of the tumor. The symptoms may be recurrent headaches, issue with vision, seizures, changes in personality, memory loss, poor coordination, difficulty speaking or comprehending. Spine tumors can give rise to neck or back pain, weakness of any limbs or urinary or bowel trouble-depending upon the part of spine involved. Neurosurgeons use many tests to diagnose a brain and spine tumors, find out the type of brain and spine tumor, and rarely, find out if it has spread to another part of the body, called metastasis. The most common imaging tests used for diagnosing a brain and spine tumor include MRI, MR Spectroscopy, Perfusion MRI, Functional MRI, CT Scan, PET Scan, cerebral angiogram, MR Myelogram, X Rays. The World Health Organization (WHO) has created a standard by which all tumors are classified. Tumors are given a name based on the cells where they arise, and a number ranging from 1 to 4. The number is called the grade and it represents how fast the cells can grow and are likely o spread. This is critticall information for planning treatment and predicting outcomes. For most types of tumors, taking a sample of tumor tissue, either by biopsy or by surgically removing part of the total tumor, is the only way to make a definitive diagnosis of a brain tumor. Treatment options and recommendations depend on several factors: the size, type, and grade of the tumor, whether the tumor is putting pressure on vital parts of the brain, if the tumor has spread to other parts of the CNS or body, the patient?s preferences and overall health. With the advances in surgical and radiological techniques: Microsurgery, Endoscopic Surgery, Image guided surgery, intraoperative monitoring it has become very safe to remove brain and spine tumor without causing much morbidity and mortality. The most common treatment options available for a brain tumor are ? Posted on March 21, 2017 by Dr. Ashish Gupta. This entry was posted in Brain and Spine Health. Bookmark the permalink.